Kofi Kingston believes he'll never split from Xavier Woods and Big E but is he correct? 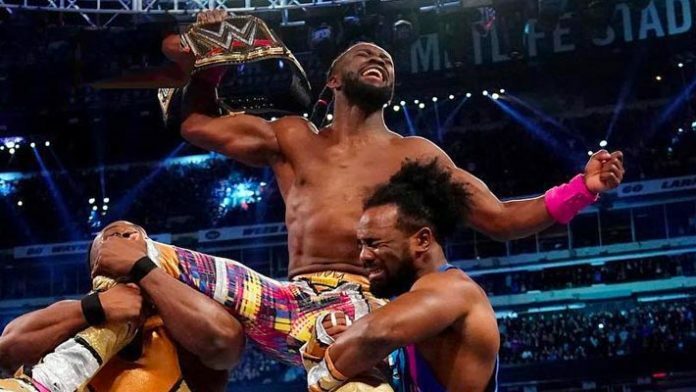 With Kofi Kingston having won the WWE championship at WrestleMania 35, some are wondering what the future of New Day is. Will one of his partners turn against him in a quest to win the title for themselves? Will Kofi leave his teammates behind as he looks to headline future PPVs? Kingston spoke to TMZ Sports recently and stated that New Day will never break up. He continued to say that while sometimes a wrestler in a faction who has individual success leaves the group, he doesn’t see that as the path any member of New Day would take. To break-up like other factions do, Kingston says, would not be a fitting story for New Day. Unfortunately for Kingston’s New Day stablemate, Big E, he’s out for an extended period of time with a torn meniscus. “New Day is all about the group and that’s the way it’s going to be,” Kingston continued.